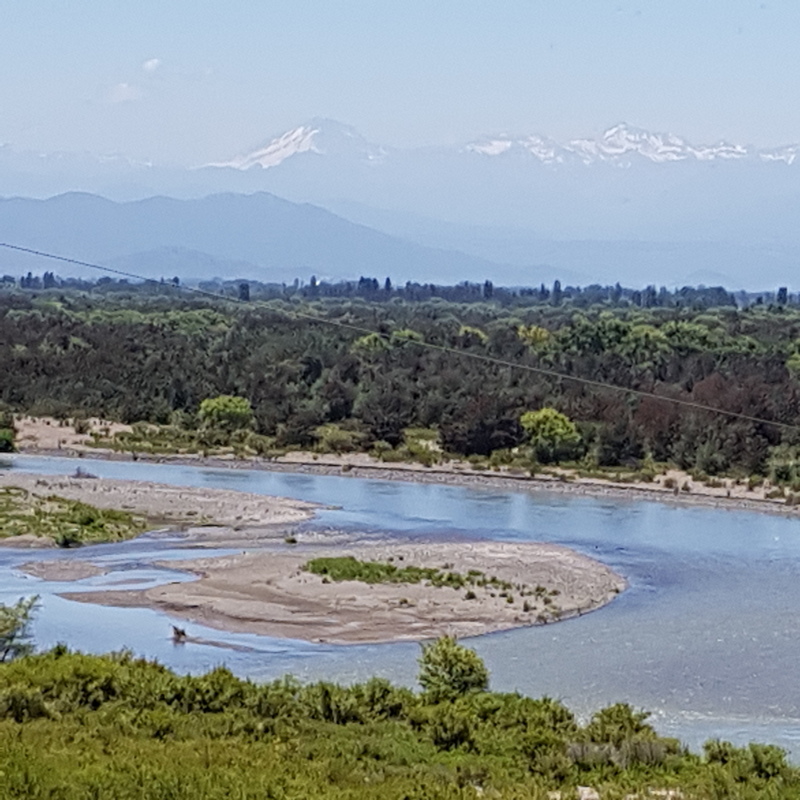 It’s now a week since we set off from Santiago. 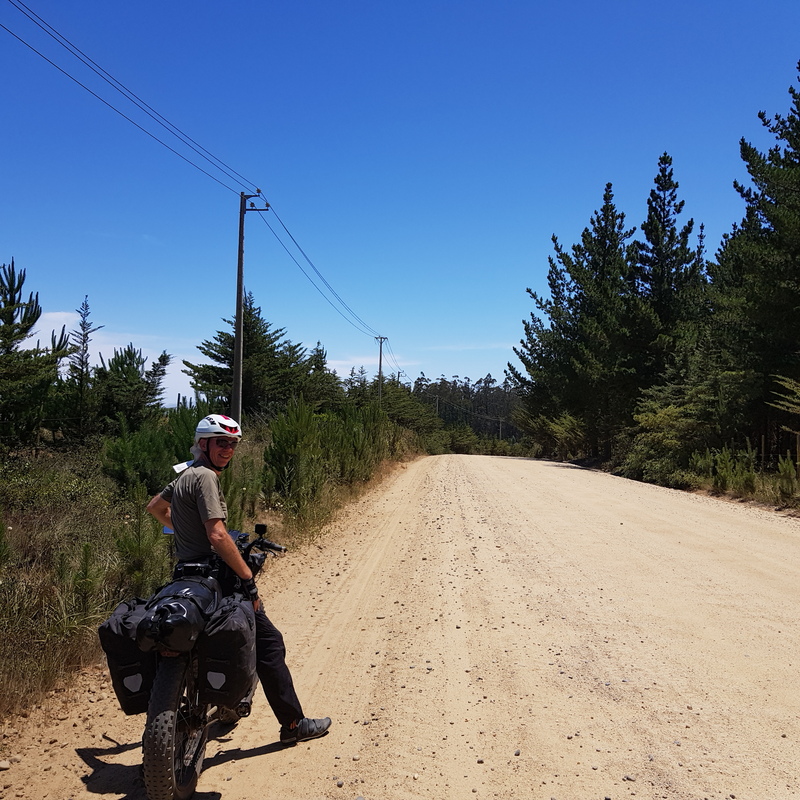 Having read blogs from other cyclists who struggled to get out of the city alongside heavy lorries we decided to take a roundabout route and head for the coast instead of directly south. 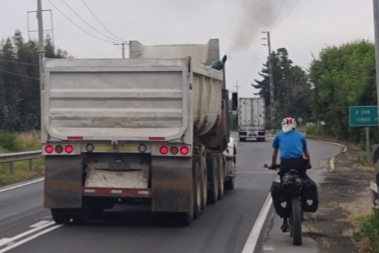 This paid off as we got out of the city mainly on cycle tracks early on a Sunday morning. 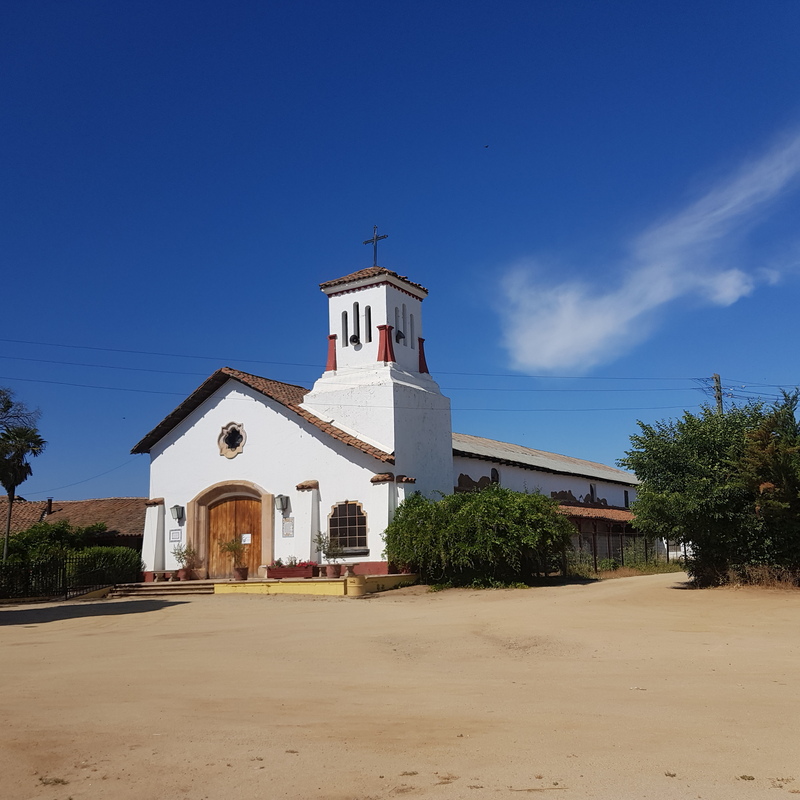 It was interesting seeing some of the older buildings as we cycled through the outskirts even though most of them had military connections. 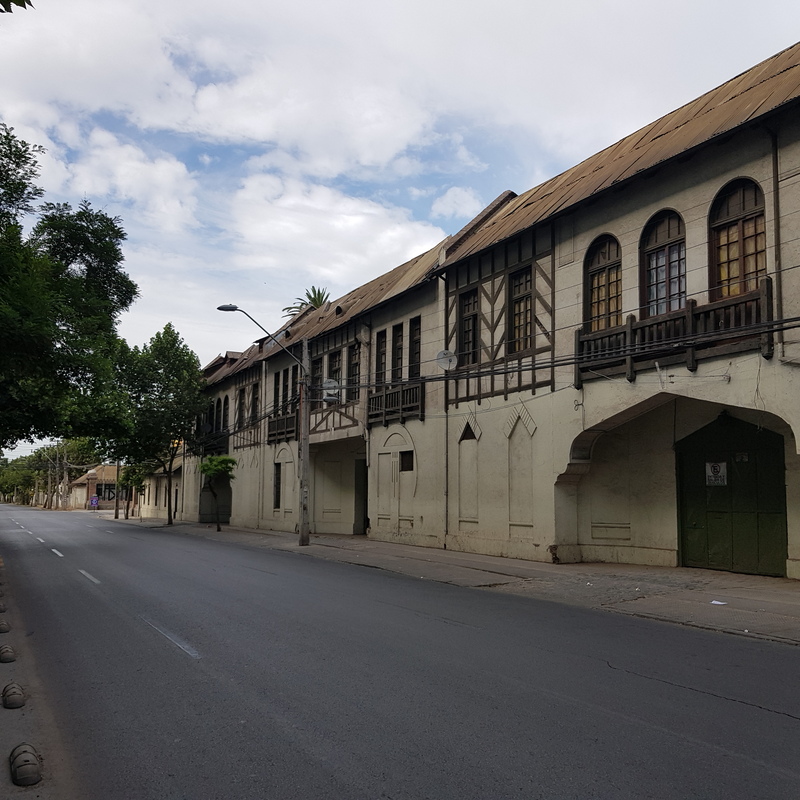 Although Santiago has been here since the 17th century there aren’t many old buildings still standing due to earthquakes. 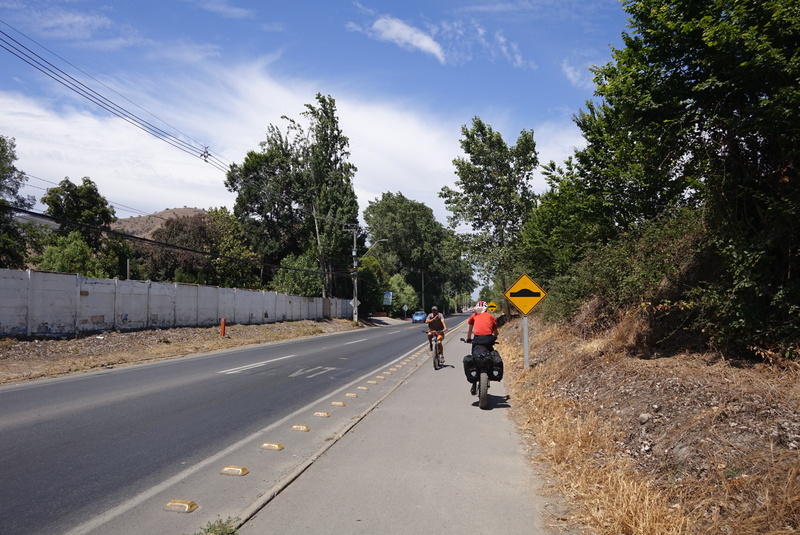 This part of Chile was particularly badly devastated during the 2010 earthquake, and we saw a lot more evidence of this as we cycled towards the coast. 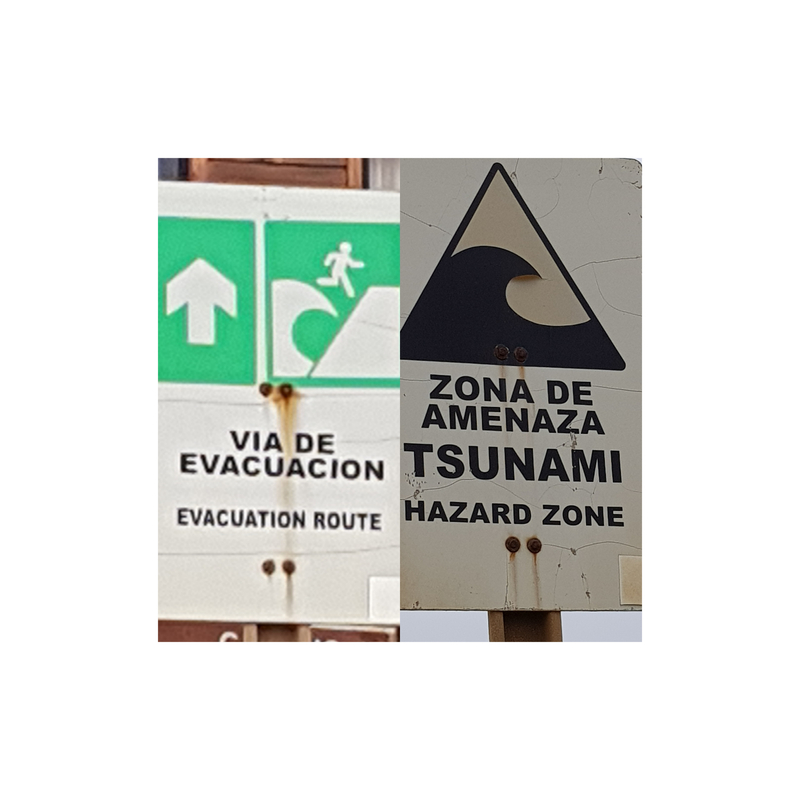 Of course along the coast the earthquake was followed by a tsunami so that now, all along the coast are warning signs and evacuation routes leading to higher ground. 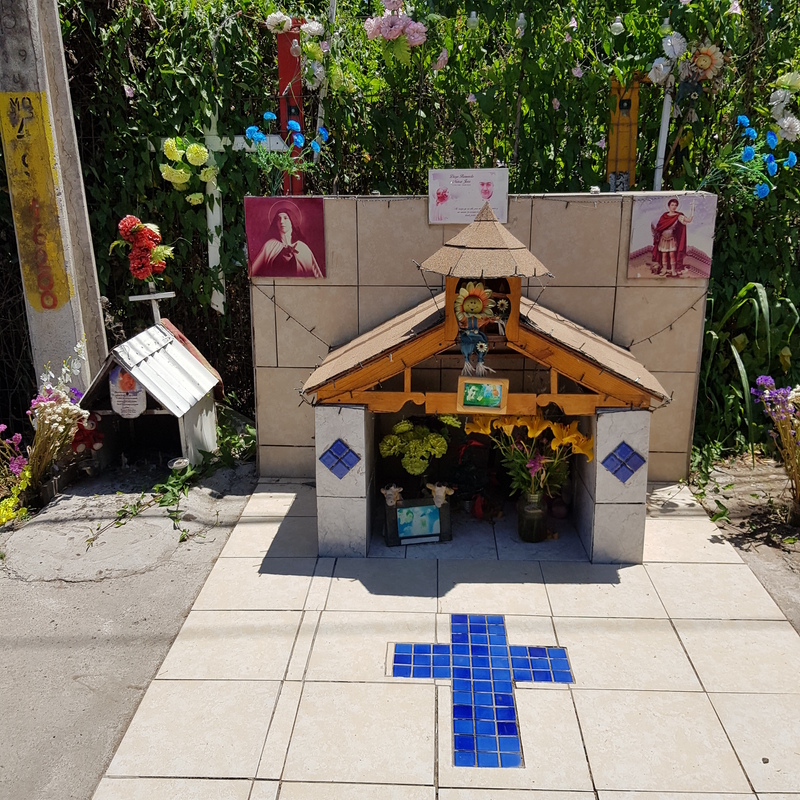 As we cycled out of Santiago we saw many of these shrines to relatives who we assume were killed on the road. Many of them were surrounded by hundreds of water bottles. We haven’t discovered the significance of this yet. 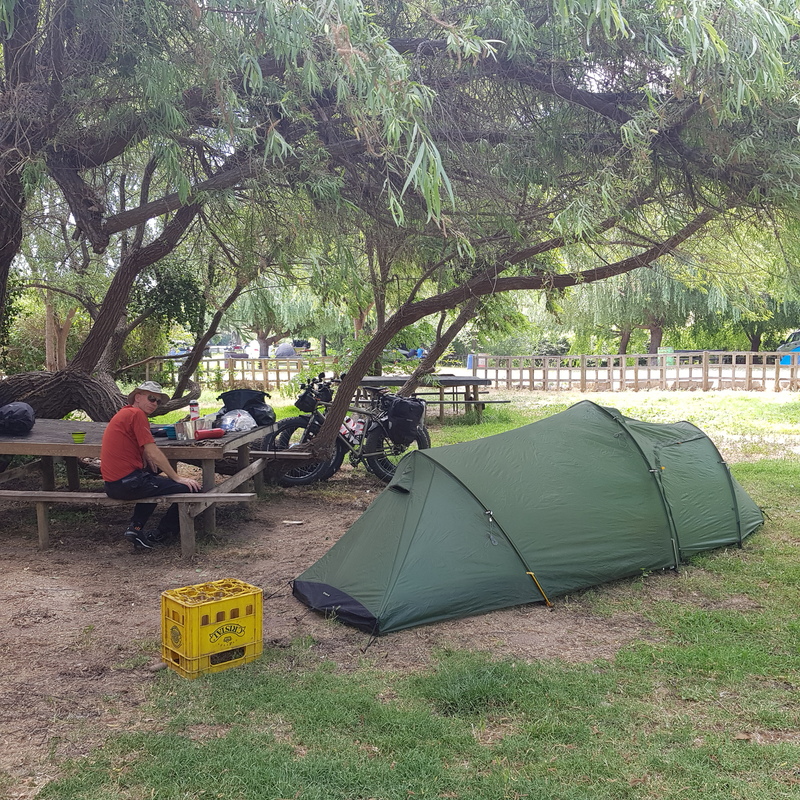 We headed for a campsite on our first night and found it full and lively with large, extended families enjoying a Sunday BBQ. Families are important here and most groups included 3 or 4 generations. Our new Spanish came in useful as many of them wanted to know what we were doing. 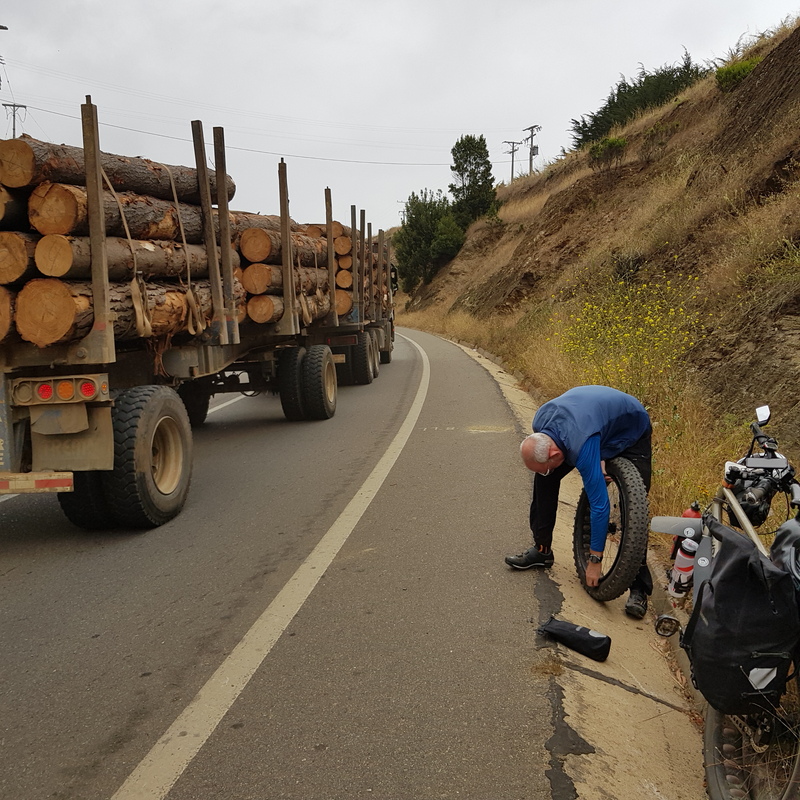 We were just getting used to all the noise when everyone packed up and headed back to Santiago, leaving piles of rubbish and silence. Our isolation didn’t last long as a group of teenagers turned up and played loud music all night. Some birds enjoying the left over picnics. 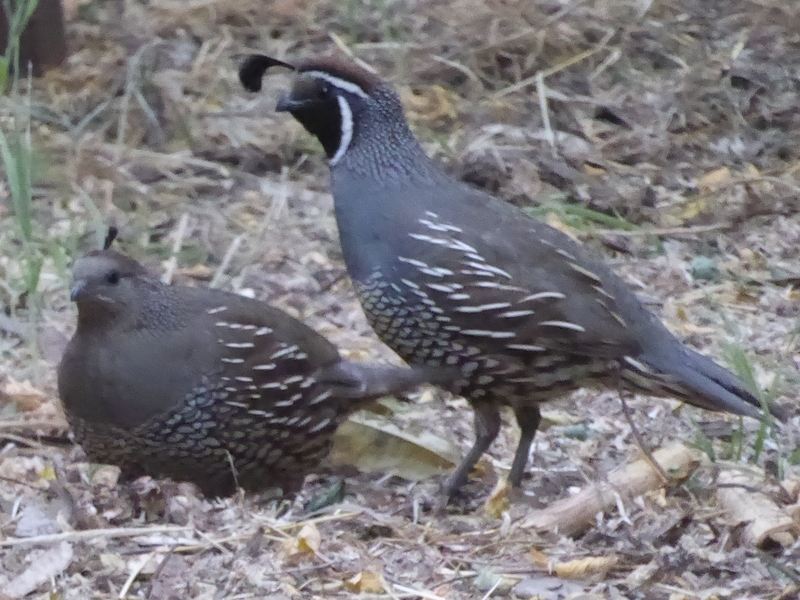 They looked a bit like partridge to me, but the male had an interesting headpiece. 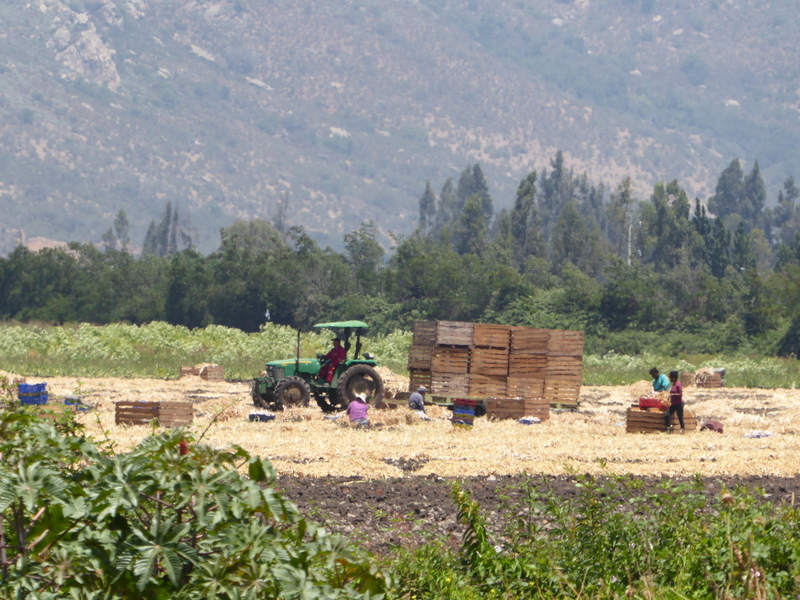 We spent a couple of days cycling in the fertile plains between Santiago and the coast hills. 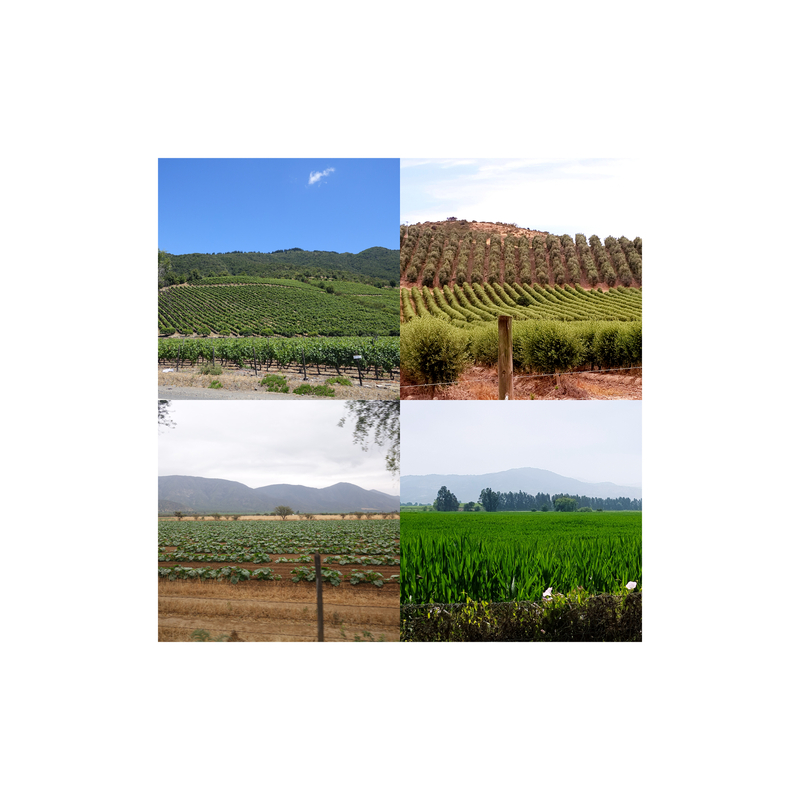 This area is famous for its wine and we cycled through acres of vineyards and olive grove as well as fields of maize, onions and artichokes. These are olive hedges, and they go on for as far as you can see. They must cut them to this low hedge shape with a hedge cutter, they are certainly easier to harvest this way, plus fields of maize and courgettes and a vineyard. 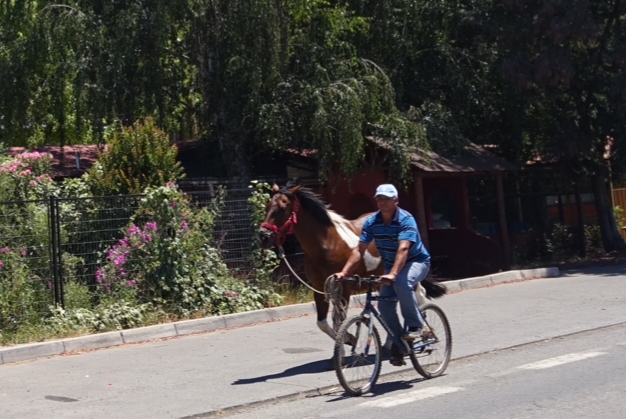 We had stopped in a small village for lunch when this Huaso funeral cortege came past. 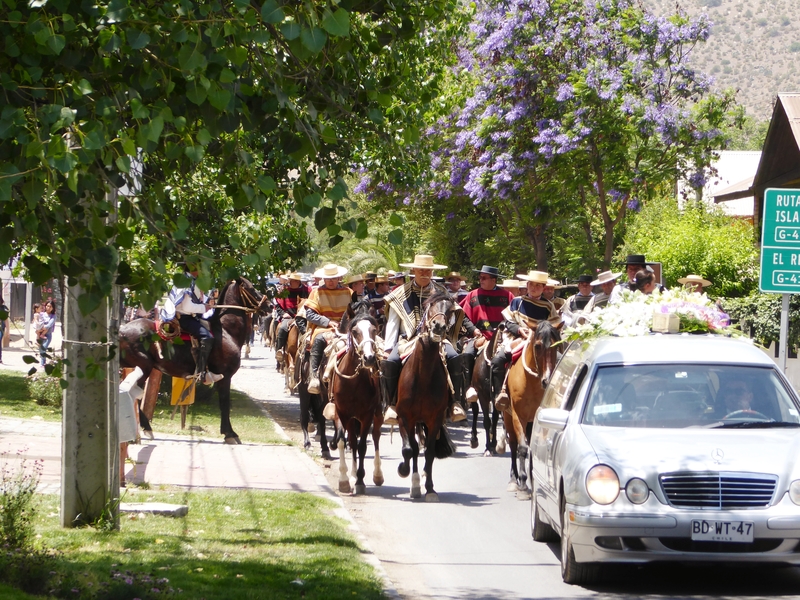 The Chileno Huaso are skilled horseman and farmers like American cowboys. It was very dramatic. The dead man’s horse is being led at the front. After that the climbing began. We needed to get our climbing fitness back after a month in the classroom and these coastal hills were a good workout. Although here we were only climbing for 2 or 3 hours at a time and in the mountains each climb could last 1 or 2 days. Later that day we stopped off for some tea and cake. While we were sitting in the cafe the ground began to shake quite violently as we had a very short 5.5 earthquake. It was quite unnerving. 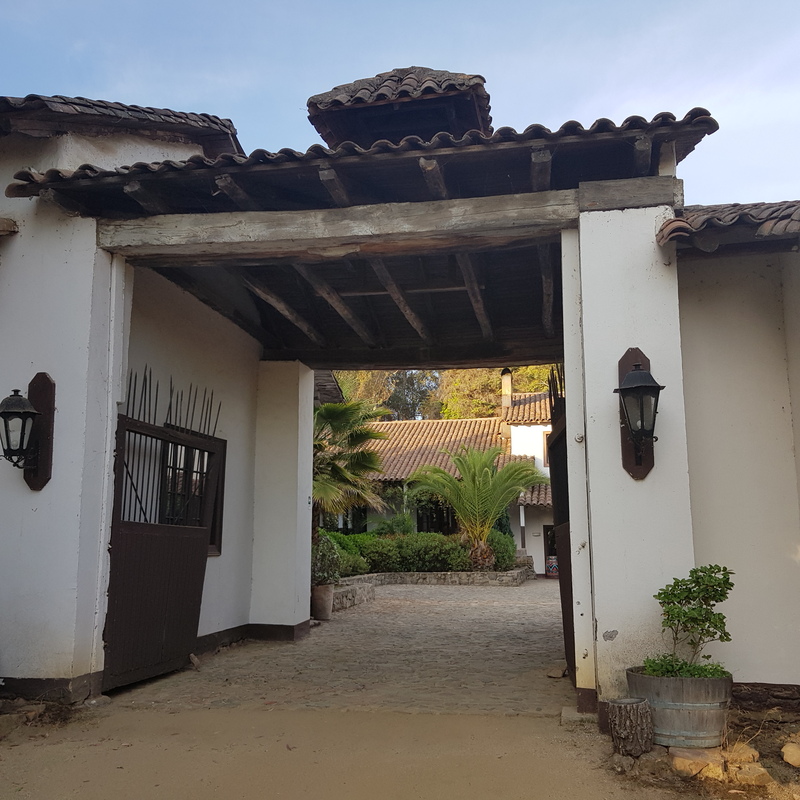 We were staying in a new house down the road that was built on the site of the old adobe house that had collapsed in the 2010 quake, along with every adobe house in the village. 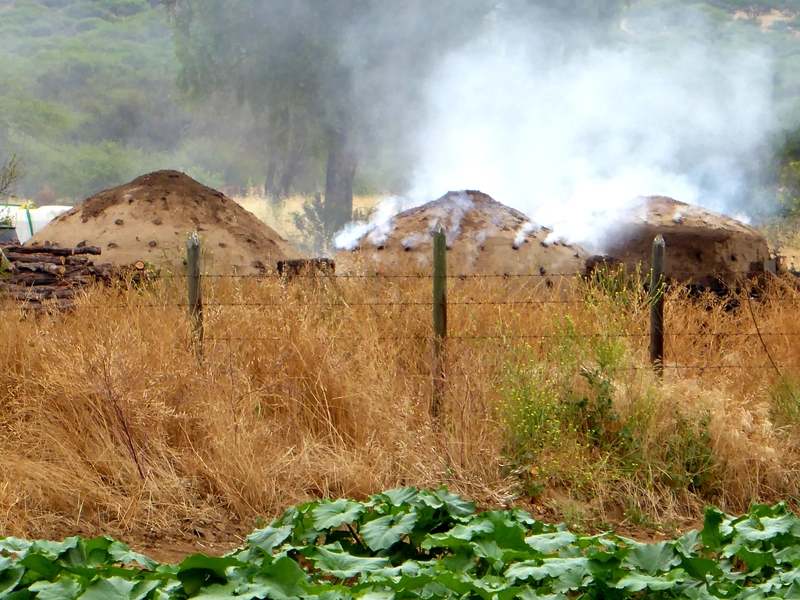 Our host said it was heart breaking to walk into the village and just see piles of earth where the houses used to be. This 18th century Jesuit monastery (now a hotel) had no damage at all in the quake, not even any broken glass. That earthquake was 8.6 and went on for two minutes. 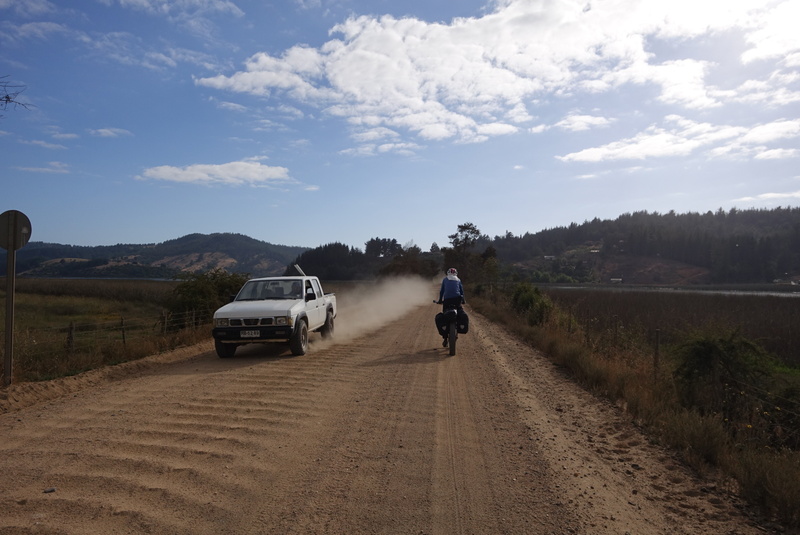 We decided to stick to the sand and gravel logging tracks over the coastal hills although it was hard work. 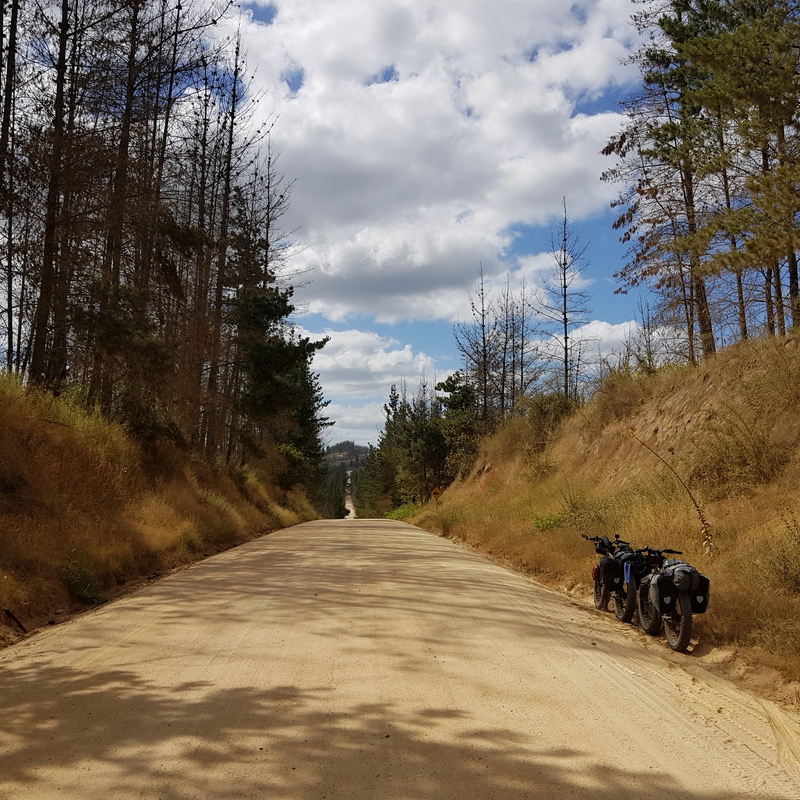 Even with our fat tyres we were still sinking into the fine deep sand. 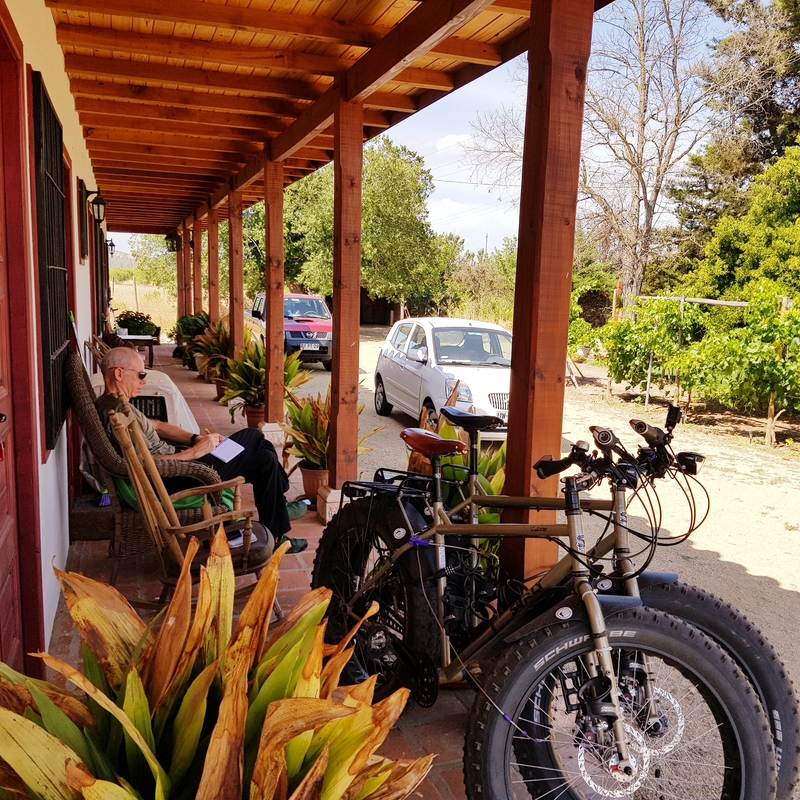 Having had hot sunshine while we were climbing the hills we arrived at the surfing resort of Pichilemu in cold drizzle. 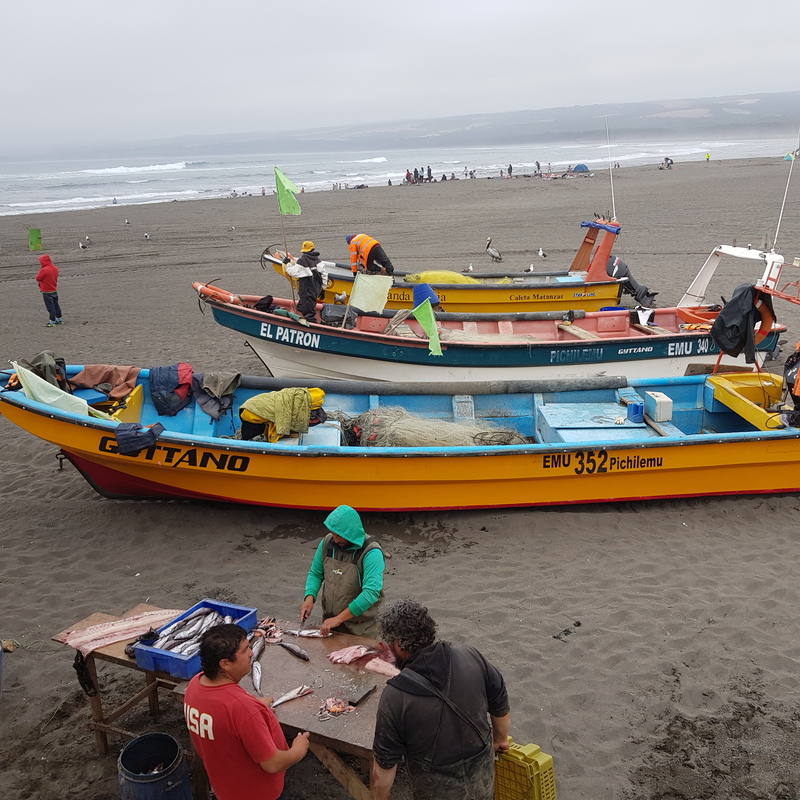 These fishermen are gutting their catch on the beach. 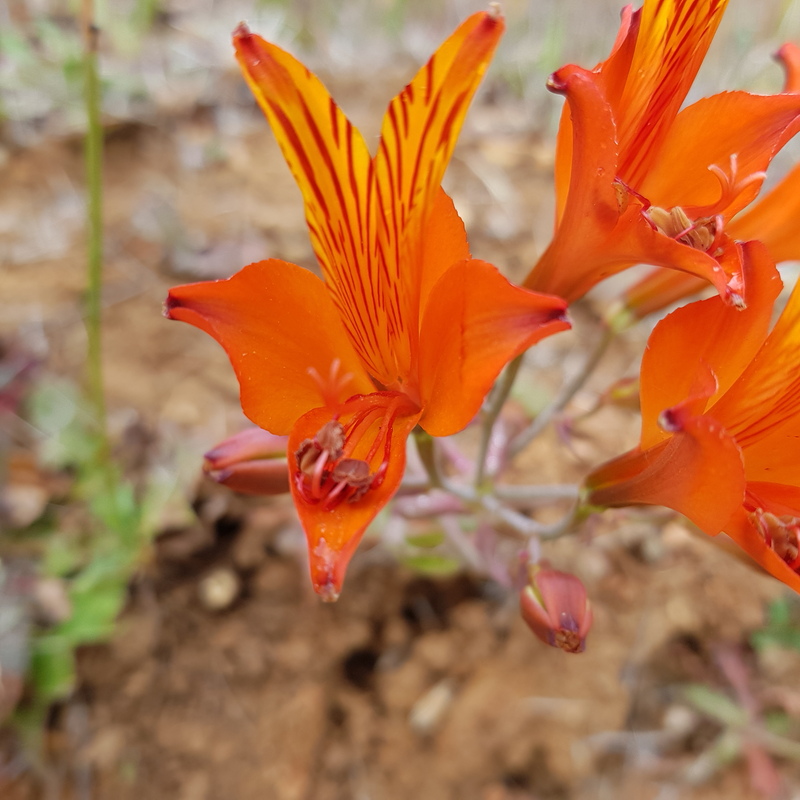 We haven’t passed many interesting flowers to date. Most of what we have seen has been brought in from elsewhere. I am not sure if these ones are indigenous, I thought they were day lillies but the leaves are like dandelions. 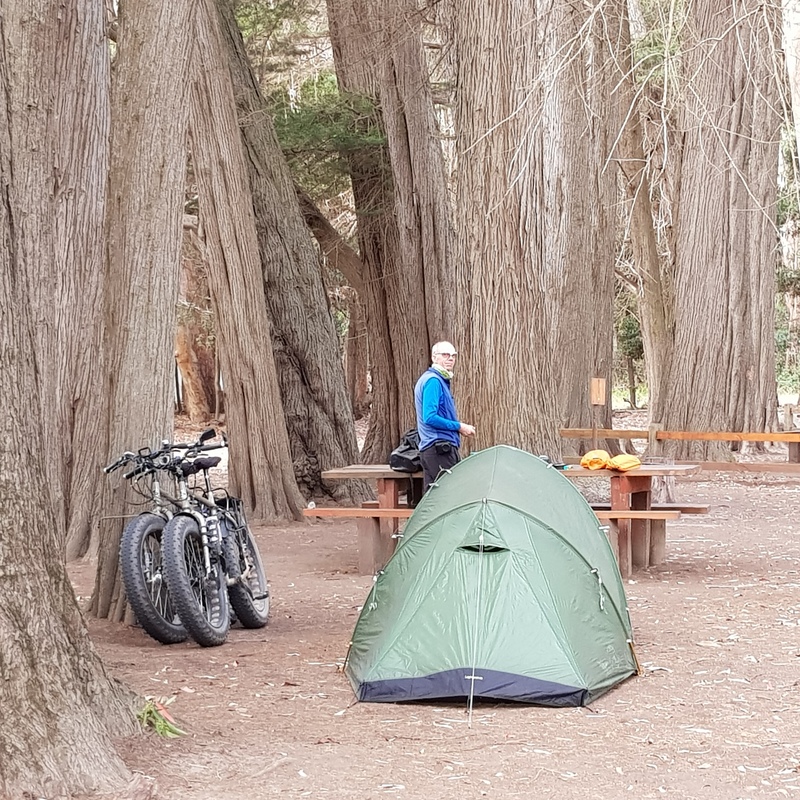 We really did have this campsite in the Toca National Park all to ourselves this time. 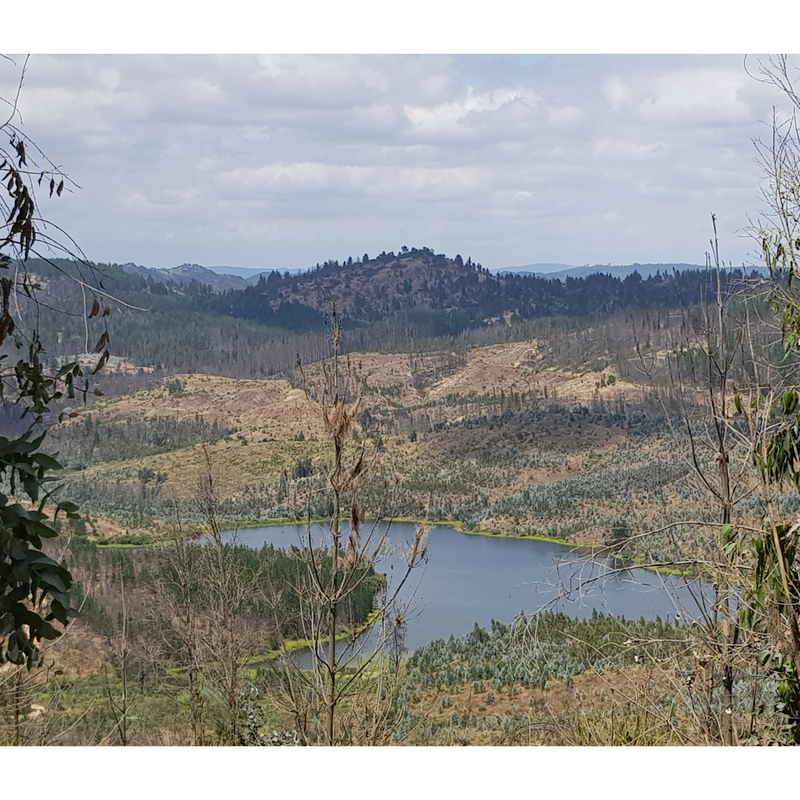 Although the National Park was a disappointment as the large, very old trees they mentioned turned out to be Eucalyptus planted in 1912 and now in a very dangerous state. 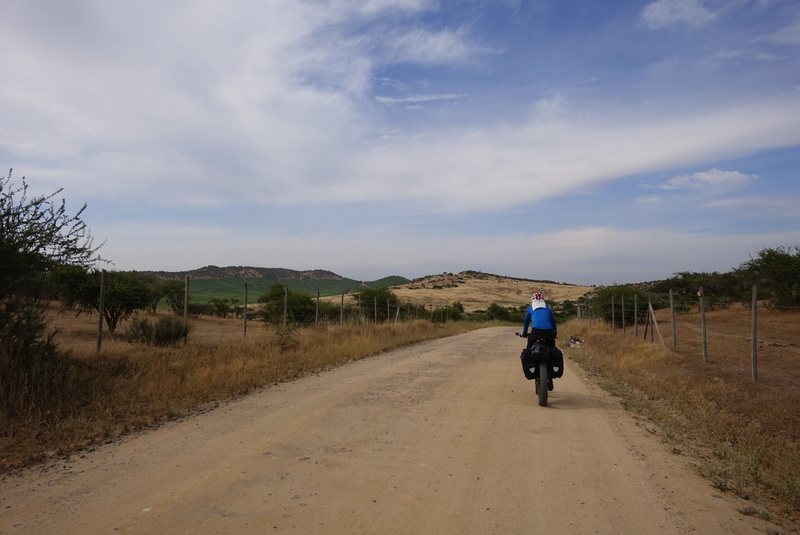 We stayed on the gravel roads for about three days. When we emerged we were covered in red dust from head to foot. 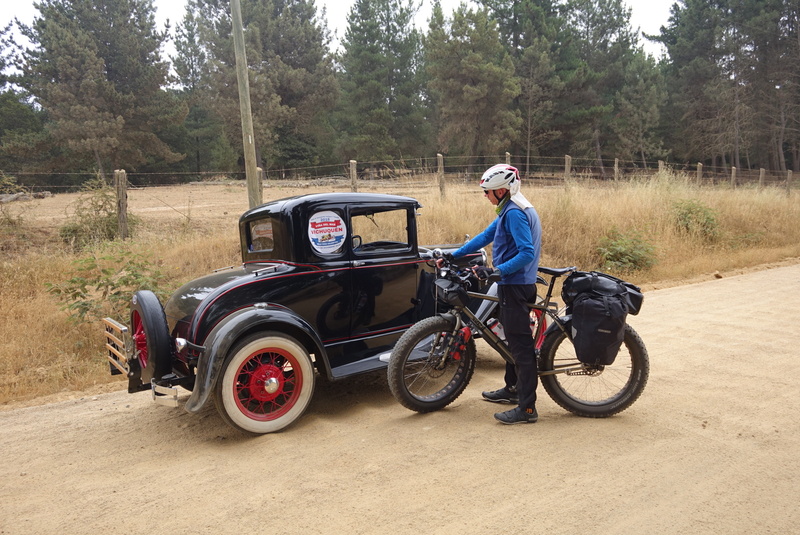 This old Ford Model T built in 1931 followed us down the road for a chat. 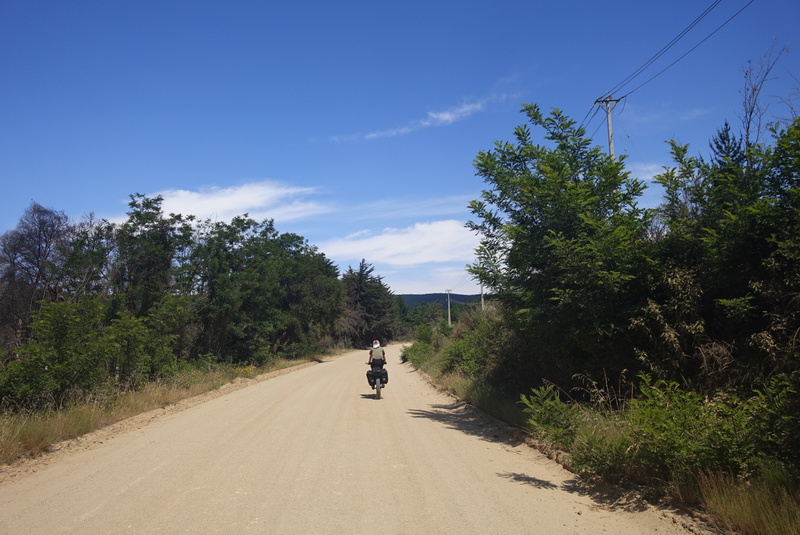 Although the road was initially quiet it got busier and faster as we neared a town. We had to cycle with our buffs up over our faces which was hard in the heat and with the hills. You can also see the ripio (washboard) surface which got a lot worse in places. 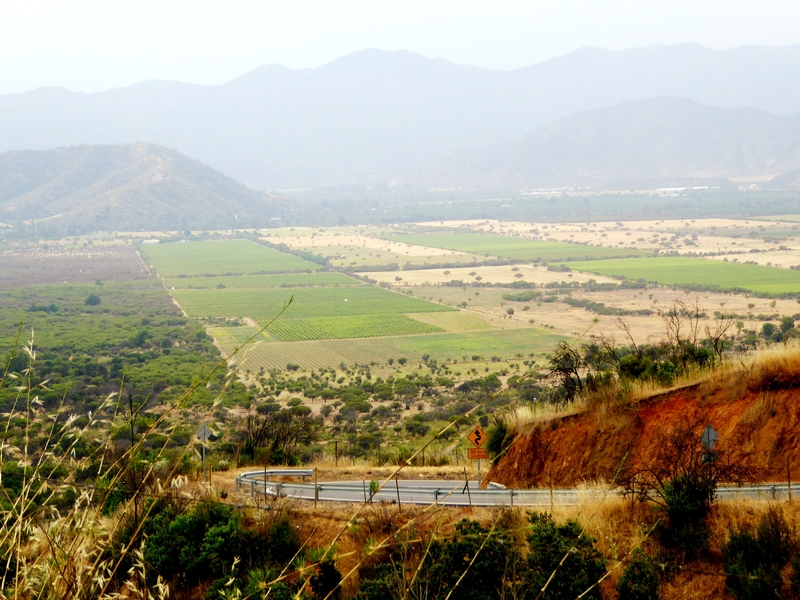 The advantage of cycling up a hill is the view from the top. For the last 2 days we have been circling back away from the coast. Now we can see the snowy peaks of the mountains that we will be cycling up tomorrow. 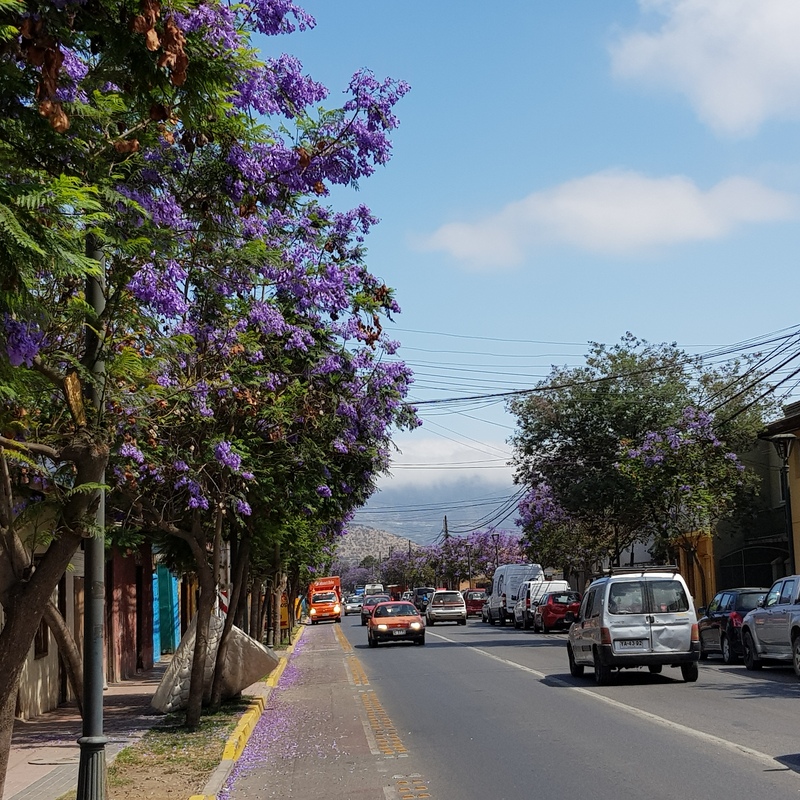 We are spending a couple of days in Curico, a fairly large town at the base of the Andes while we stock up with supplies for the next 4 days in the mountains. 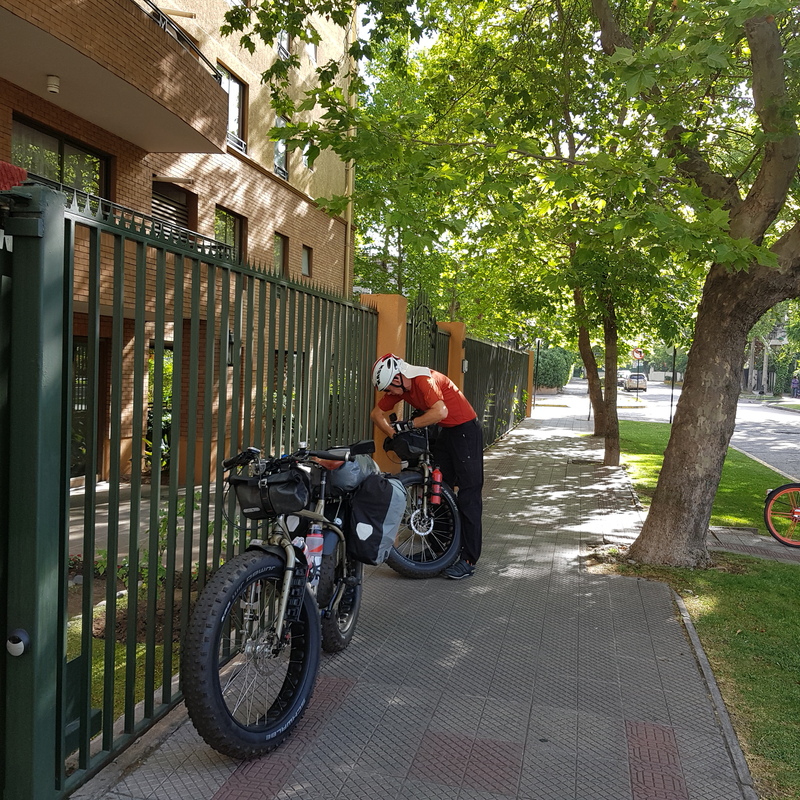 As we go over into Argentina there are no villages or towns for several hundred kilometres so we are hoping we have calculated the amount of food correctly. On the map it looks like we should be able to access water from the river we will be following. 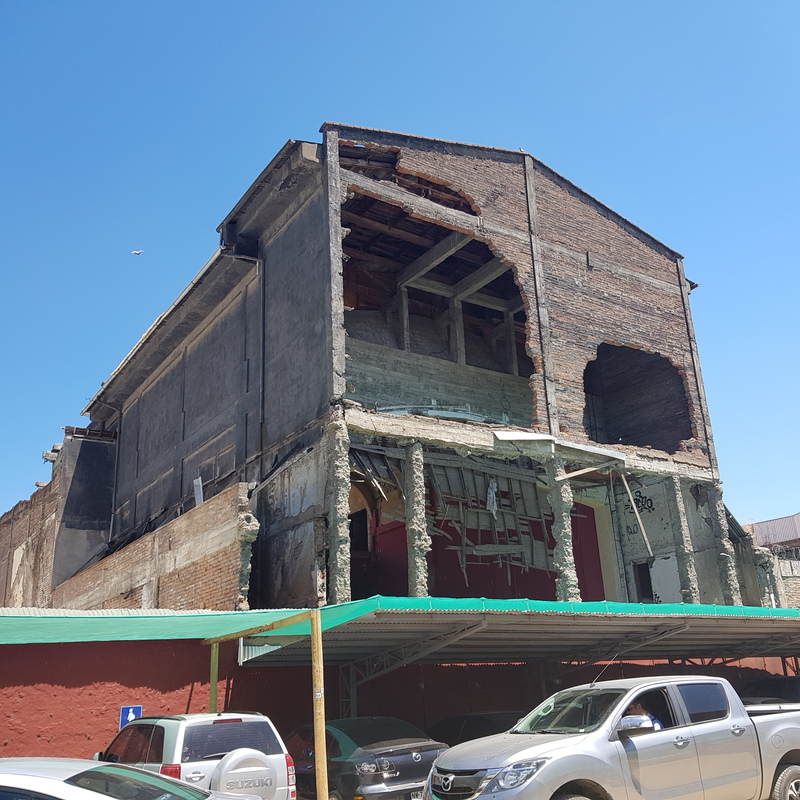 One interesting thing I have noticed here is that since the earthquake they have managed to rebuild most of their houses and shops, but the large churches remain unrepaired. I am pleased that they have looked after themselves and their families first, as this has not always been the case in days gone by. I would love to get some feedback from you so please use the form below.